February is Customer Appreciation Month at Fleet Feet Sports Raleigh/Morrisville. It seemed natural to express our gratitude and love to you with a run at one the most beautiful, somewhat romantic, and WARM places on the planet: Hawaii! 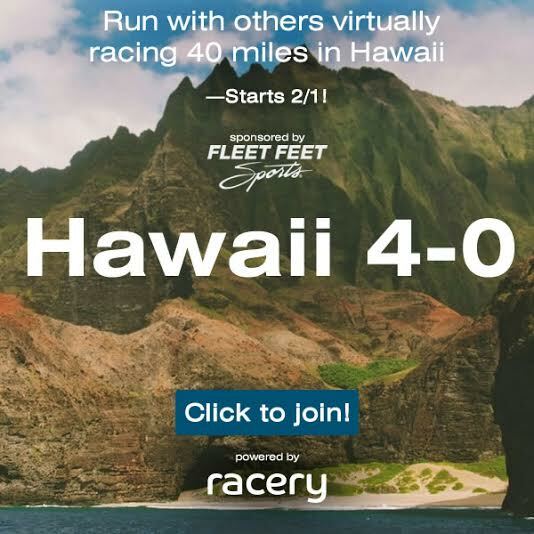 We worked with the team at Racery to put together a virtual course that will take us from Kailua Kona (home of the Ironman World Championships!) to Miloli'i, a village located on the Big Island's west coast, passing lava fields, coffee farms, and beautiful coastline along the way. The race starts February 1st. You can track and enter your miles from anywhere! Since it's our 10th Anniversary, every 10 miles, you will have a chance to win a fabulous prize from Fleet Feet Sports. All finishers will receive an invitation to a congratulatory Luau in the store on March 9th with lots of food, fun, and more love from us! We know you're going to LOVE running along the beaches of Hawaii. Barefoot running allowed!